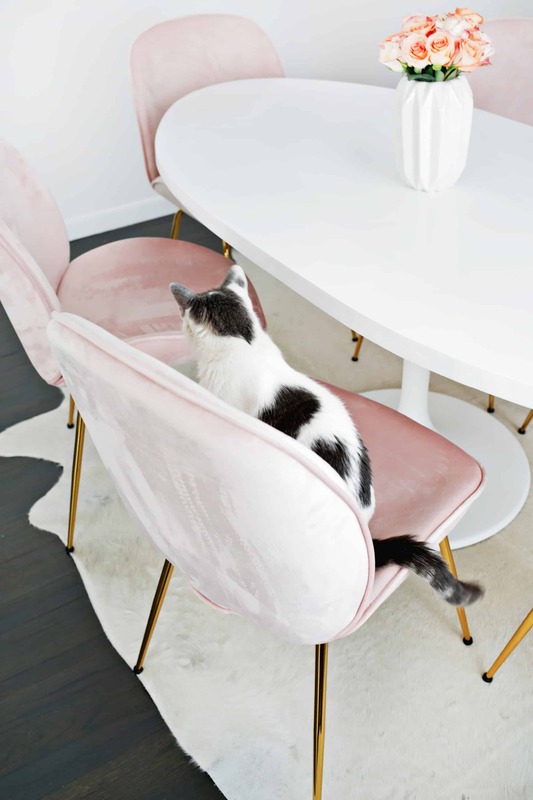 How I Found My Dream Dining Chairs! 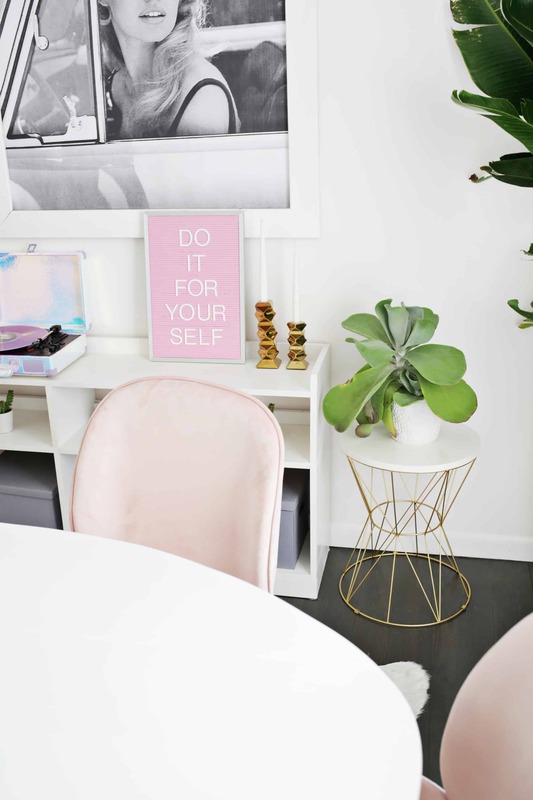 Now that we have been in our home for over three years, I’ve started the process of refreshing a few of the rooms that we did early on in the renovation process. 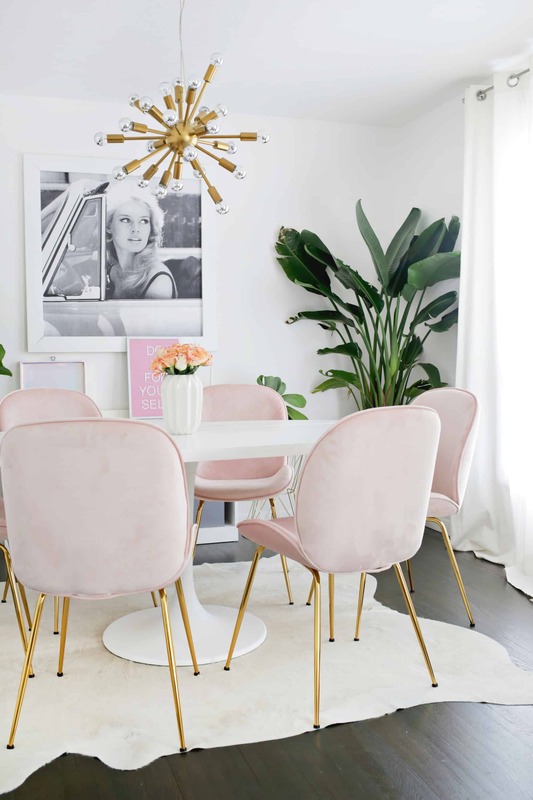 The dining room was maybe the second or third room I finished and I painted it a blush pink to help it stand out from the front room sitting area that’s connected to it. 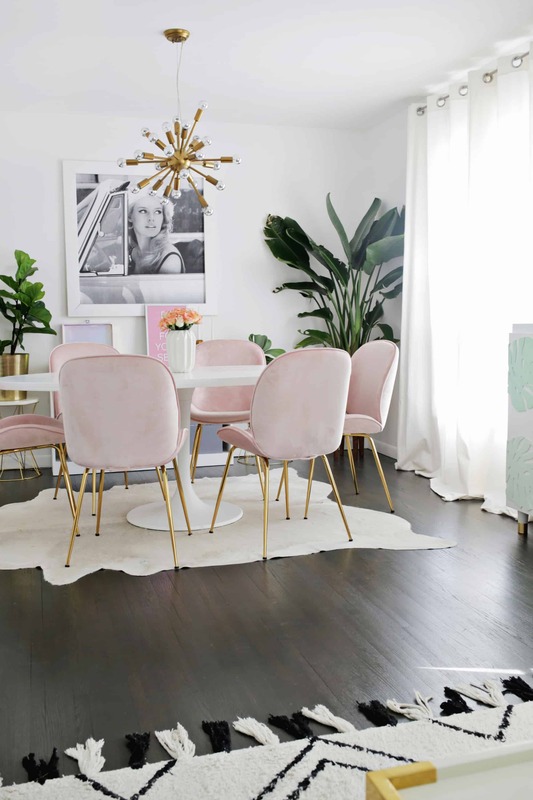 While I still love that color of blush, I wanted a different look for the space. 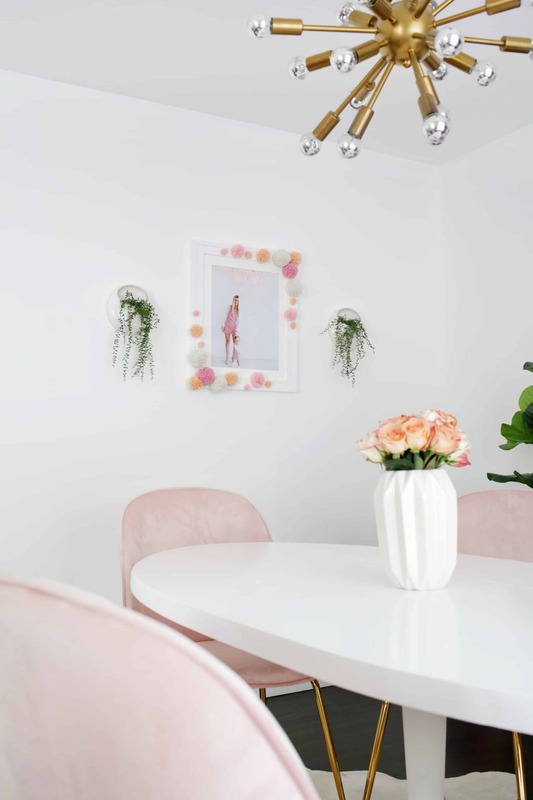 So I decided to paint the room white (with plans to do some sort of painted wallpaper soon) and add in blush chairs instead of our white ones to add a pop of pink back into the space. 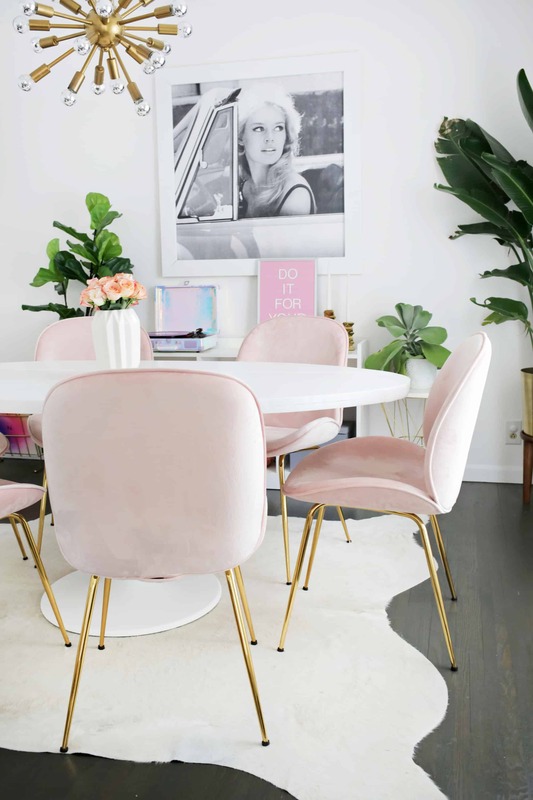 The only problem was actually finding the perfect chairs to satisfy my extremely picky taste in being the exact right shade of blush and I wanted them to have a mid-century feel and a touch of gold was preferable—quite a list! We partnered with Amazon Home on this project. I do a lot of shopping on Amazon for a huge range of purchases, so I decided to see what they had available. 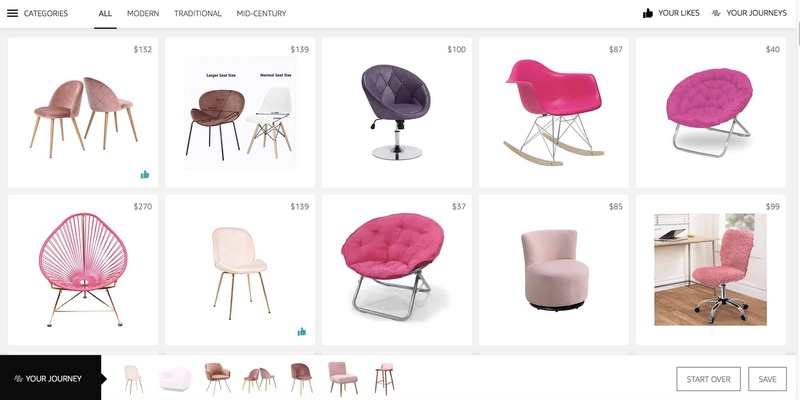 Thankfully, they just launched their new Scout tool that helps you quickly narrow down on the perfect product based on what products you “like” and “dislike.” I had done a little searching before using the Scout tool, but hadn’t seen the right fit yet. 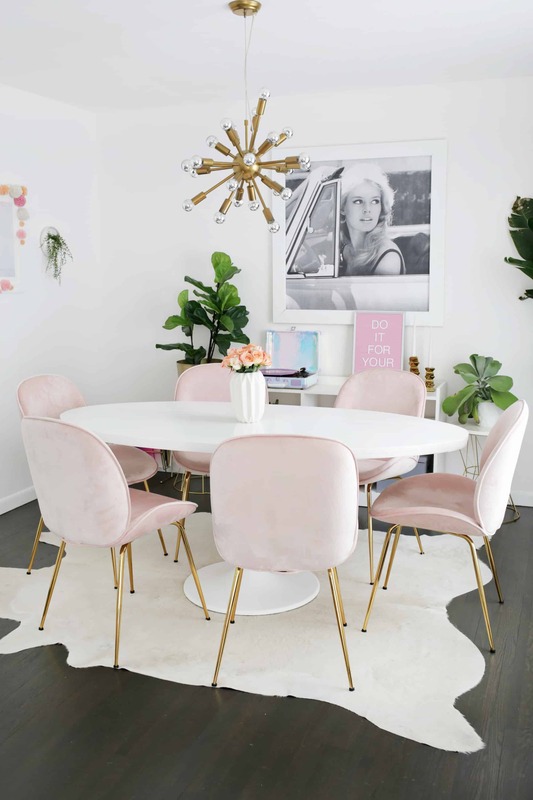 It literally only took a few clicks of narrowing down my taste with Scout before these blush pink velvet and gold chairs popped up in the feed and I instantly knew they were absolutely perfect! Of course, I still looked a bit more just to make sure, but I couldn’t have asked for a better find, so they became the winner pretty quickly! I could not wait for them to arrive to see them in person … OMG, aren’t they SO pretty??!! 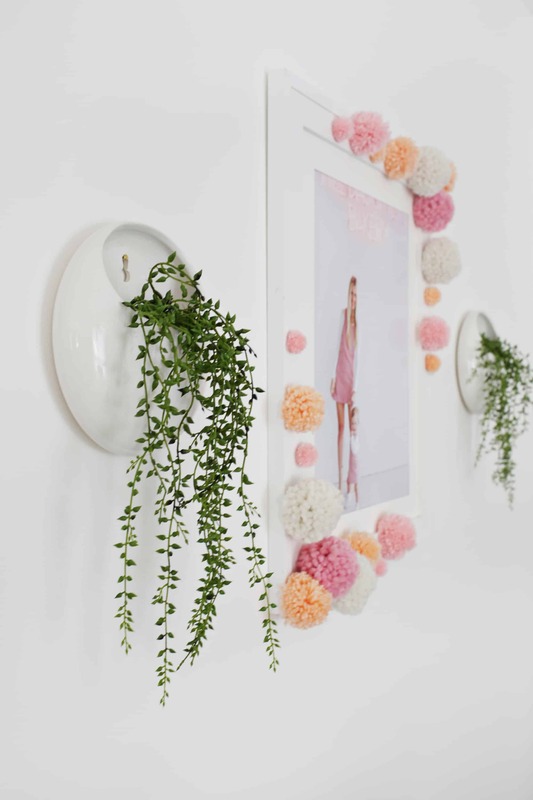 I love that they are velvet as they look so soft and the pile gives them a bit of a textured/flocked look as well. 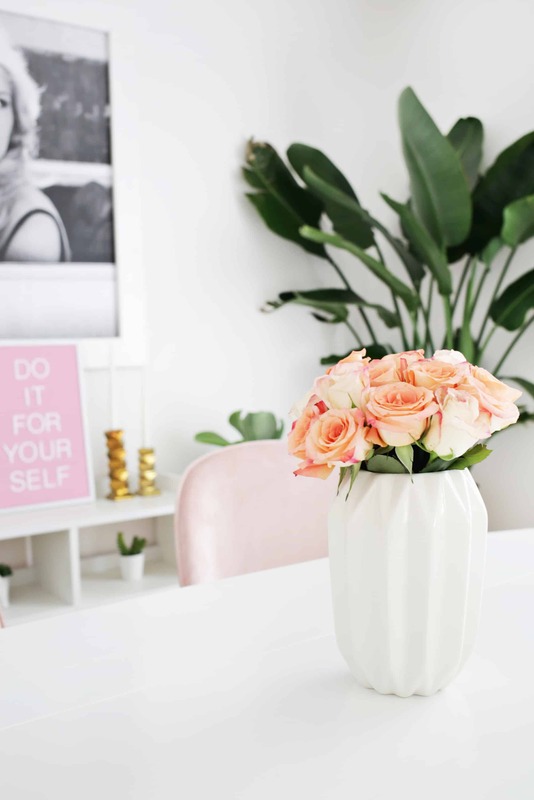 To help update the space, I also got a few other items while I was shopping for the chairs, like this pretty geometric vase. 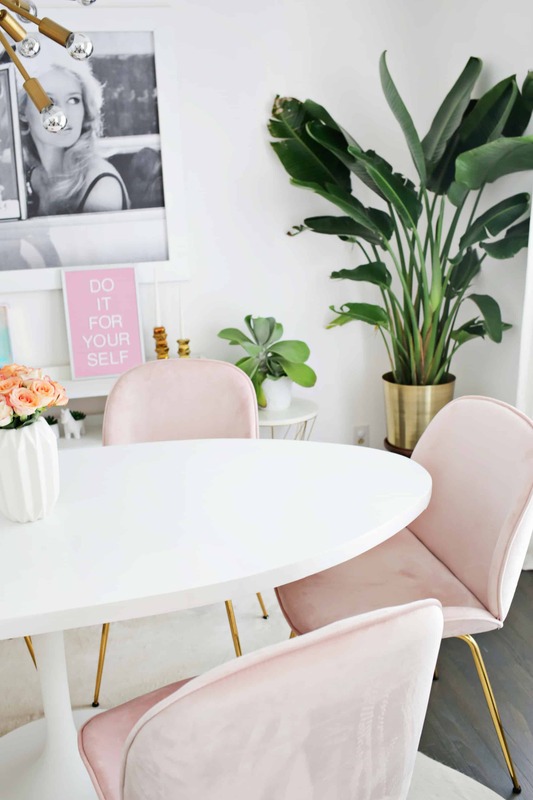 I love tone on tone things, so the white geometric vase on the white table is right up my alley.